The houses on De Grey Street were built in 1847. The house is privately owned, and the owner will not stay in the house. He has covered the mirrors in the home, due to the things he has seen in them, after being told they are a portal to the other side. He prefers not to be left alone in the house, due to his own personal experiences. 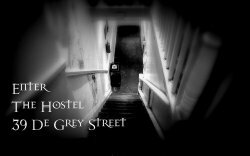 The house has been named ‘The Hostel’ by locals, due to the foreboding and terrifying atmosphere inside the building. Many of the reports are of physical activity, including a lady who was pulled by the legs across the landing, a man being pushed out of one of the bedrooms by unseen hands, chairs moving on their own, objects flying across the kitchen and in the attic and someone being pulled out of the chair they were sat in down in the dining room. Alongside these terrifying physical occurences, people have seen dark shadow figures, ominous voices shouting from the darkened corners of the house, screaming from the attic and foul smells that cannot be explained. Police have been called to the property, and had to break in, due to children being seen in the glassless windows, standing staring out to the street alone in the dark house. 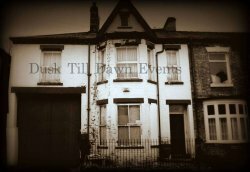 39 De Grey Street Hull creepy and very active building - a place which is fast becoming known as Hulls most haunted property!